November 2010 – CREATE. PLAY. TRANSFORM. MAKATI CITY, METRO MANILA – When her mother passed away four years ago, Mia Casal went to New York to escape emotions she found hard to deal with and gave up her passion for pottery. But just when she thought she had fully turned her back on it, the more she felt drawn to it, albeit in a foreign land. 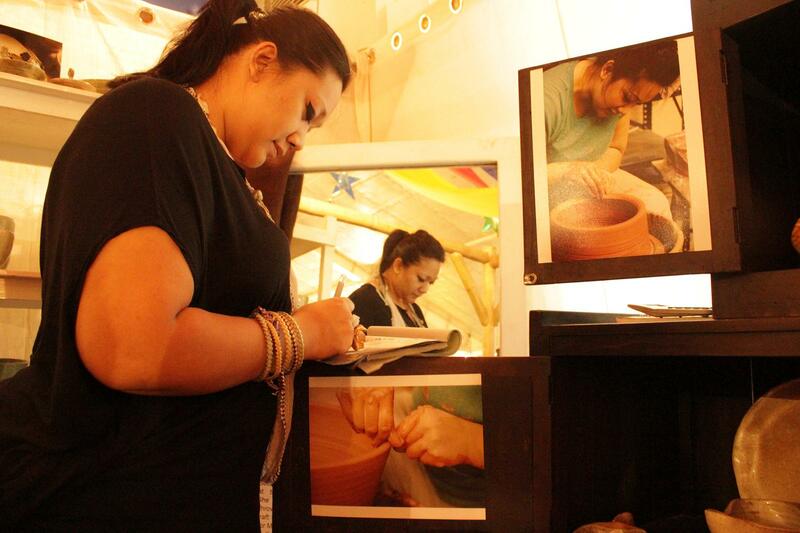 She eventually returned home and revived her love for pottery after few visits to Quezon Province. “I don’t remember liking pottery but when I first felt the spinning clay between my hands, that’s when I knew that there is more to learn in this dying craft,” she recalls. Soon after, opportunities came her way. “I didn’t even have to push myself out there. Potters in NYC started inviting me to join competitions and it really felt like a blessing,” she says. Mia adds that she became “emotionally grounded and closer to God” because of this art. After coming back to the Philippines, she put up her studio where she teaches pottery lessons. What Mia makes out of stoneware clay reflects on how she finds inspiration in nature. “I alter my pots so that I can incorporate what I see around me,” she says, adding her rustic and contemporary works are most inspired by the ocean, leaves and sand. She says she hopes more Filipinos will recognize the value of pottery through her modest efforts. “Yes it’s a dying craft but it will be resurrected,” she says.